Let’s be honest. My feeling about the chambray shirt have evolved over time. At first I hated it, because I thought it looked like a jean shirt, and I had some bad 90s flashbacks. But the chambray shirt slowly grew on me, until I had to find the perfect one of my own. Chambray shirts are a fun touch to an otherwise dressy look. They make outfits a little more casual and a little off-the-cuff. The styling possibilities are endless! 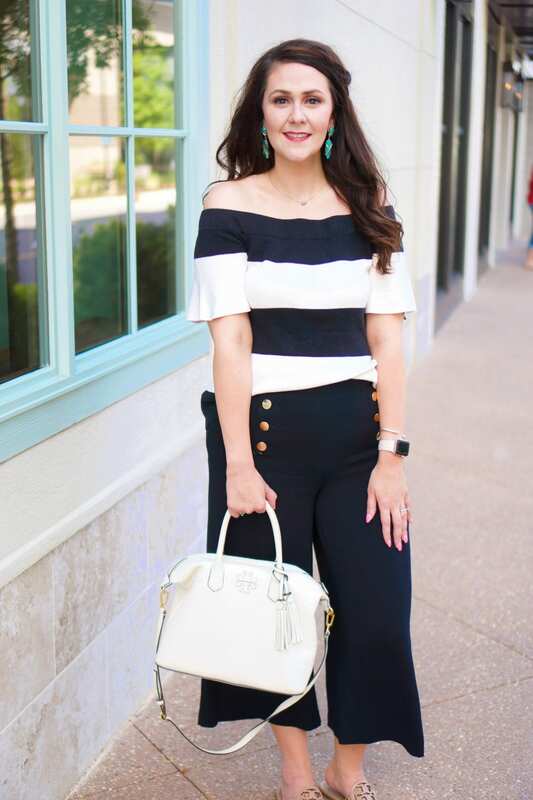 So I’ve teamed up with my friend Kat from Lemonade Linings to show you two ways to wear this trend. Head on over to Kat’s blog to see the flip-side of this Wardrobe Re-Wear–a perfect Date Night Ready look! 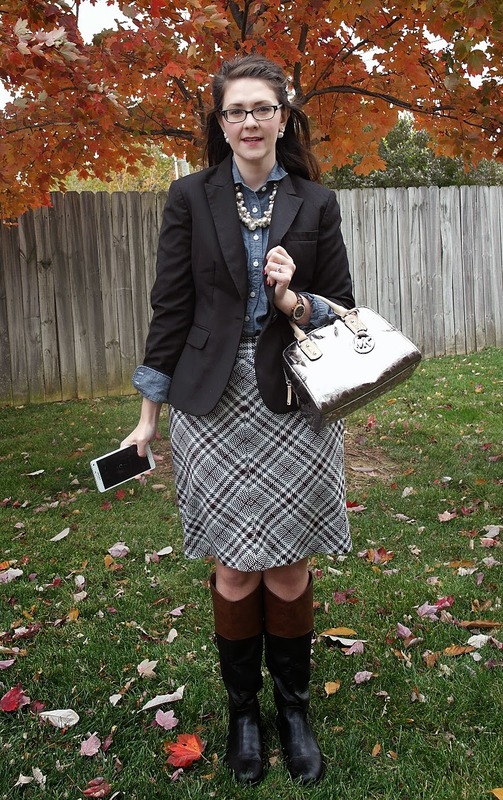 I paired my chambray shirt with one of my favorite plaid pencil skirts, and added a blazer with the sleeves cuffed. Skirt: No longer available (similar, similar). To take the outfit from the office to happy hour, just remove the blazer and head out! Oh, and can we please talk about these boots and bag? I snagged the boots from Target early this season, after I missed out on them last year. And I just picked up this adorable Michael Kors satchel at the Outlet Shoppes of the Bluegrass when I did some Christmas shopping this weekend. I think the nickel color/chrome effect is perfect for the upcoming holiday season. Boots: Target, around $31 (currently $39.99 + BOGO 50%). Bag; Michael Kors Outlet store, $120. 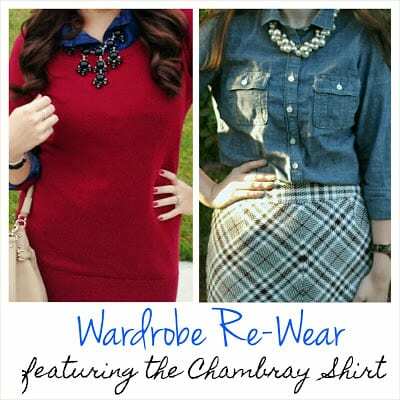 You can also check out the last Wardrobe Re-Wear featuring the Blanket Scarf! What’s your favorite way to style a chambray shirt? Let us know in the comments! Gah, I think you guys officially have me convinced on the chambray shirt! Now, to just find one that actually fits correctly. I've been trying FOREVER with the flannel, still no luck. And I love the way you dressed this up! I wouldn't have thought of it for a more professional look. Love how you styled your chambray for work! Heading over to Lemonade Linings to check out her look! i NEVER thought to wear it under anything!! brilliant! Same here! I used to work in a law firm, but now I work as part of an in-house counsel team, and the work wear is much more relaxed. I wear jeans most days! Do it! I like the fit of this shirt, and I really like the fit of the Merona plaid at Target. Thanks! I really like it as a dressier piece! Thanks, Shauncey! I think it says something that both Kat and I paired it with dressier pieces over top. I was the same way with flannel… I insisted it was strictly for farmers. 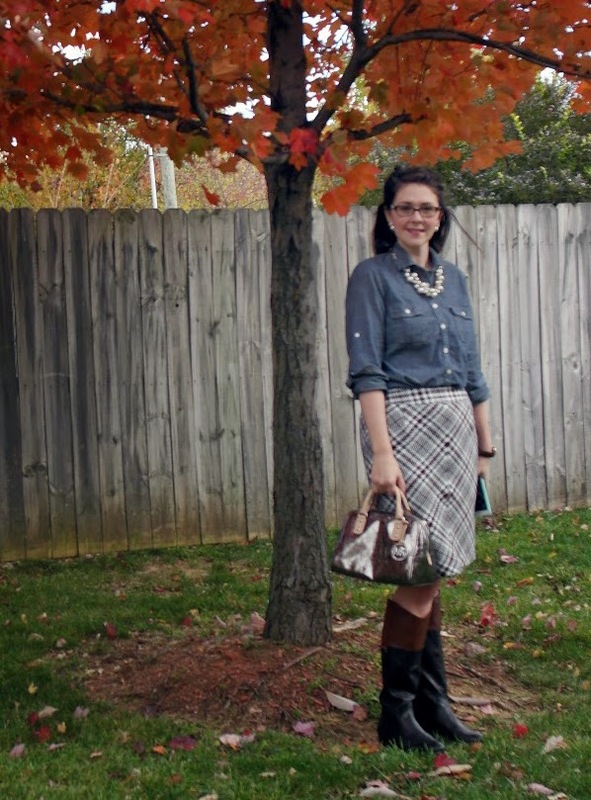 However, like the chambray shirt, I realized all the layering possibilities and now I am hooked! I love the way you styled your chambray, super classy with the blazer and pearls. I have three chambray shirts now even though I was leery at first. They are worn often and go with everything. I'd recommend getting several different chambray shades – light, dark, polka-dotted, etc. Thanks, Rachel! I snagged this one for myself because I loved the color (not too light, not too dark), and it was a little cheaper than the other chambray shirts I'd looked at. Thanks! I love it dressed up, and the same goes for plaid as well! Totally breaking out a plaid shirt tomorrow now!!!! Good idea! I went with this one because the shade was middle-of-the road. I would love to find a cute polka dot one!